To describe Eddie Pepitone’s delivery as “loud” would be an injustice to the sheer intensity and power of being yelled at by the “Bitter Buddha” of stand-up. Eddie Pepitone is one of a kind. He’s a seasoned performer with a biting political edge to his abrasive, angry comedy. His left-wing politics mean he has a lot to be angry about in his native USA and gives him a wealth of material to explore and attack. Pepitone isn’t a satirical comedian as such; he isn’t out to poke fun or impersonate. His comments come from a place of anger and apathy, giving an authentic feel to his comedy, there’s no pretense or act about it, Eddie is saying what’s on his mind, trying to answer the big questions and make you think. Luckily for us he’s also very funny. Despite the very real and current nature of his subject matter, Pepitone regularly uses surreal imagery to articulate himself, usually in the form of small theatrical monologues that are wonderfully delivered and really quite brilliantly written. Unfortunately these don’t seem to hit too well with this audience, most of whom seem to enjoy it most when Eddie yells his punch lines at them. Out with his political comedy, Pepitone continues in a tirade against social convention, his own appearance and snobbery. It’s great fun to live vicariously through Eddie as he loudly vocalises his problems and opinions at the universe while you nod and laugh along with a friend in mind that fits the bill of whatever group Eddie is taking aim at. 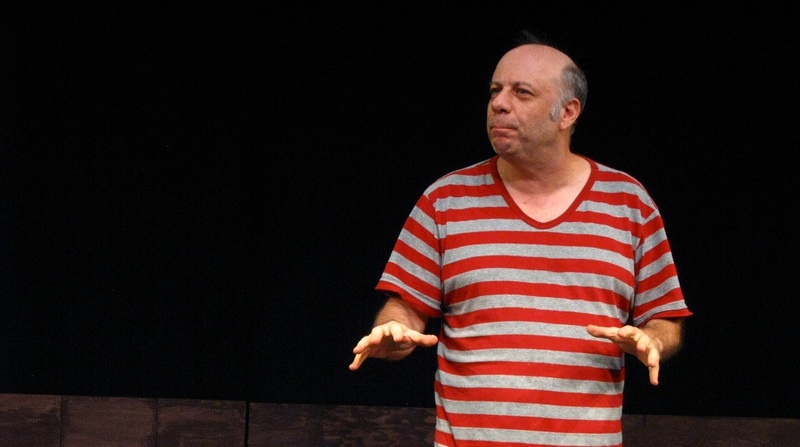 Despite his prickly exterior, Eddie Pepitone is very much a loveable comedian. His heart’s in the right place even when his language reaches it’s most obscene. His political and social ramblings never feel preachy; this was best demonstrated by his improvised aside after a furious bit about today’s on demand TV culture.